Like children, young trees require basic attention to their needs. Both will benefit from nurturing a sound foundation. This can lead to a well structured and a productive life. At Head Start Tree Training by Bill Spiewak & Associates, we provide attention to these vital tree needs. Over the course of my 35 years in the tree care industry, I’ve frequently observed a need for professional care of newly planted trees, young trees, and fruit trees. It seems that the care of most of these small trees is too costly for tree services that primarily prune large trees. Many gardeners who work on smaller scale maintenance have not been trained to provide the detailed care needed by this group of trees. 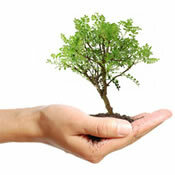 To fulfill this niche, I started Head Start Tree Training by Bill Spiewak & Associates. We provide an affordable, unique and much needed service. All work is supervised by a qualified Certified Arborist who understands tree anatomy, physiology, and sound structural growth of a diversity of species including assorted fruit trees. We train people that are passionate about trees to insure that pruning and care are eagerly performed to our industry’s Best Management Practices. Because we limit ourselves to small trees, we maintain low overhead and competitive pricing. If you are familiar with the credibility I’ve earned over decades of service, you will know that I intend to continue my professional standards of practice. If you are inquiring for the first time, then I think you will be pleased in finding our services are second to none.